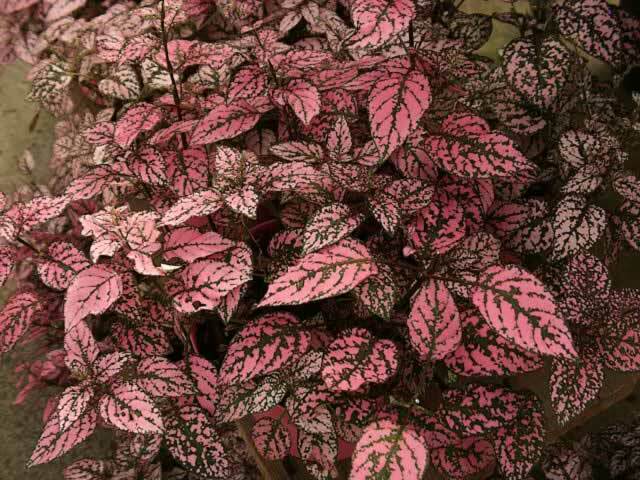 Hypoestes phyllostachya or Polka Dot Plant is known for its bright pink spots which cover dark green foliage. 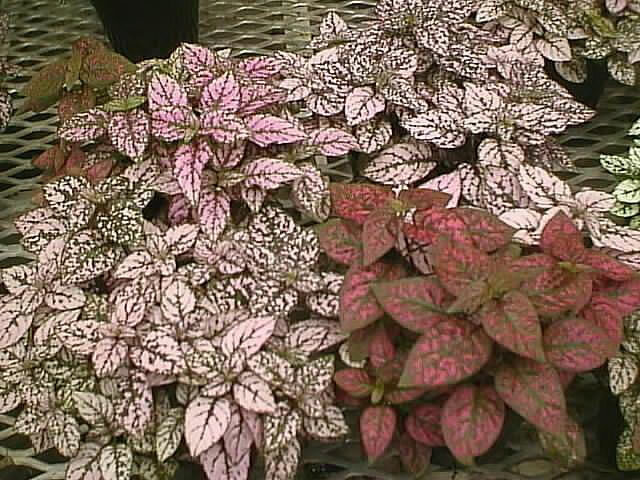 The plant can now be found with bright red, white or silver spots and blotches. They can be grown indoors as house plants or outdoors in USDA zones 10-12. Here we will deal the house plants. They need bright light but not full sun. They like a humid environment, so misting is suggested for lush foliage. 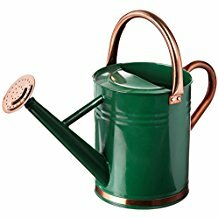 Try not to water with chlorinated water or let the water sit out for 24 hours before using on the plant. Keep the soil slightly moist. They tend to get leggy, so pinch them back to no taller than 16 inches. Don't be afraid to cut them back as they won't be hurt. When the plant begins to show new growth, you should feed it with a weak 1/4 solution of houseplant fertilizer. When it needs repotting it is best to do it in the spring.